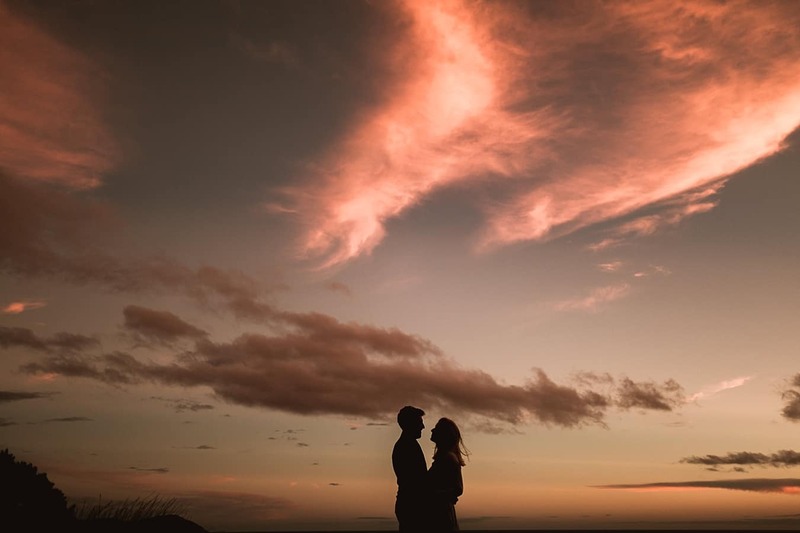 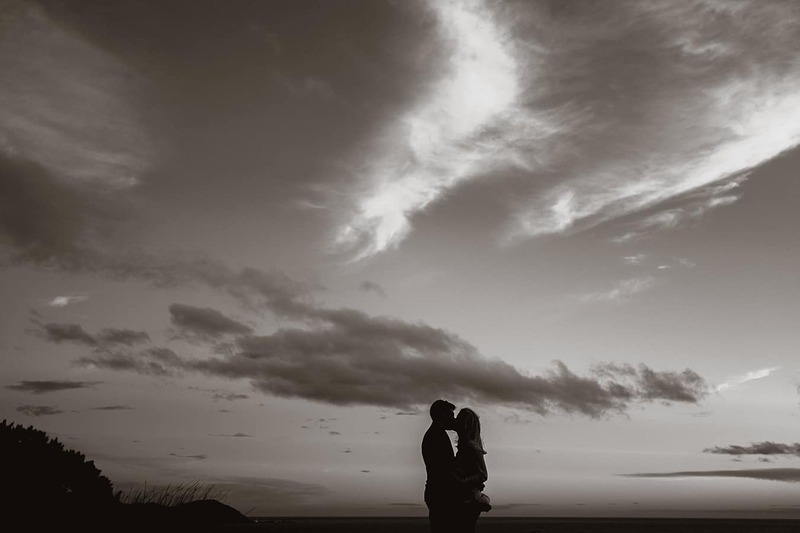 Dee + Tom have so far been at two amazing UK wedding’s that we’ve shot. 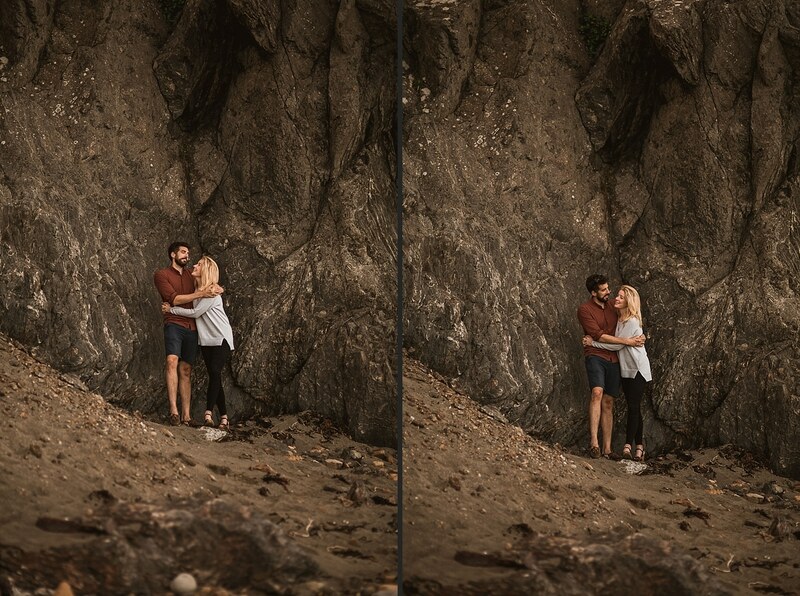 Ashleigh + Dave and Jenny + Ed. 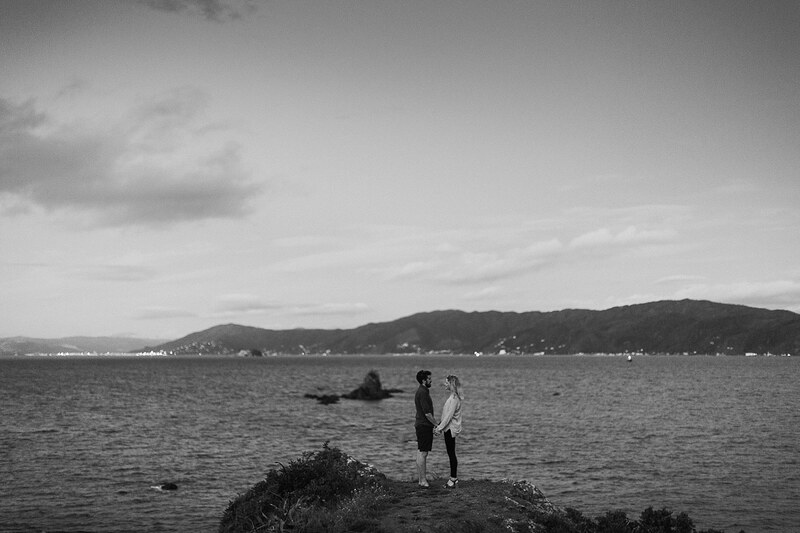 Whilst on our recent trip around the world, we caught up with them in Wellington where they live. 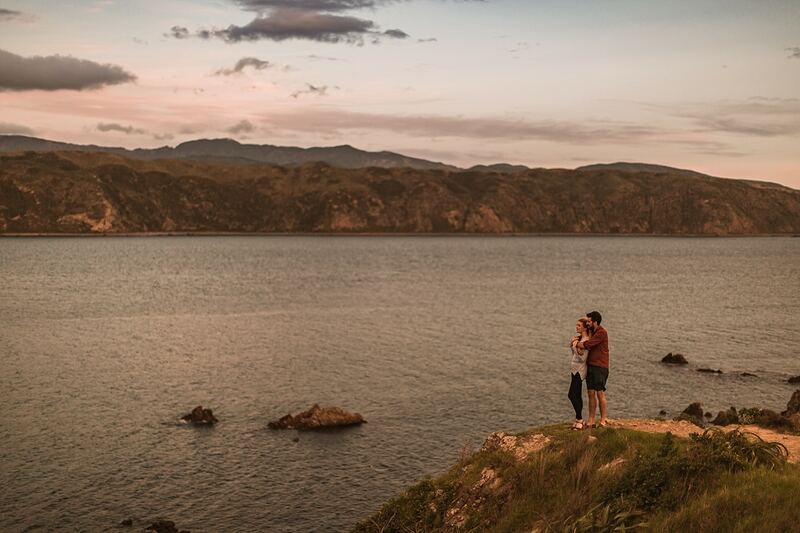 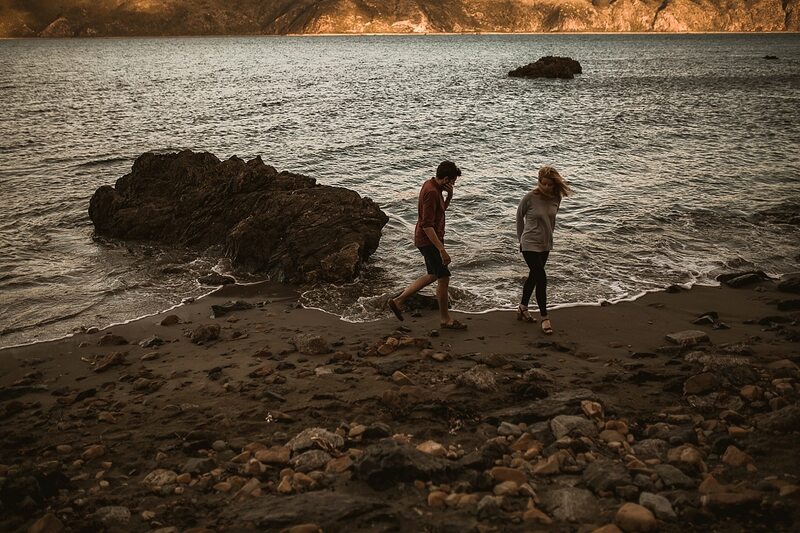 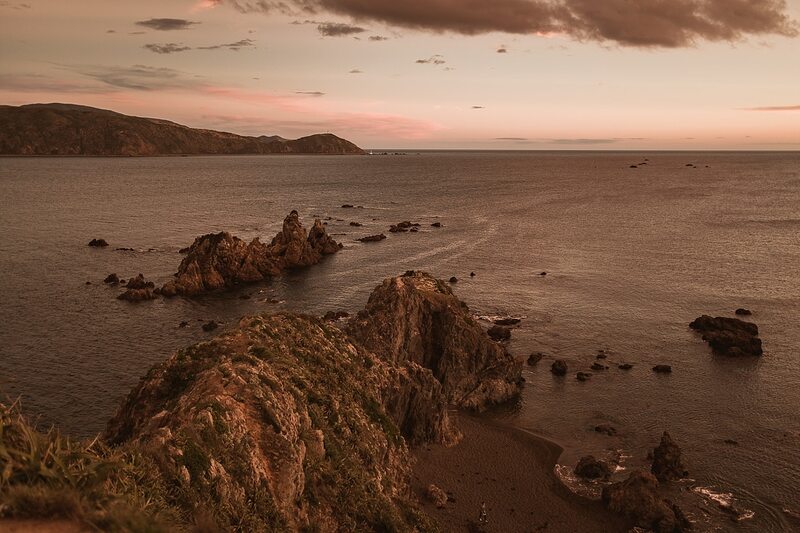 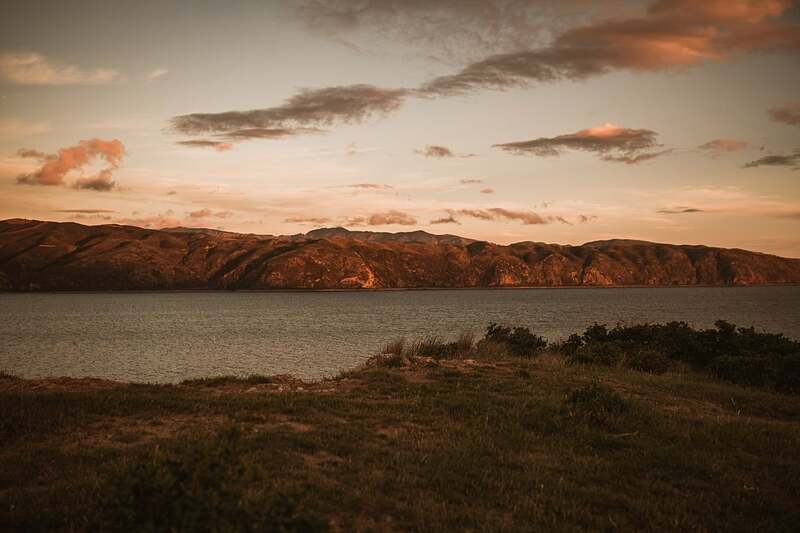 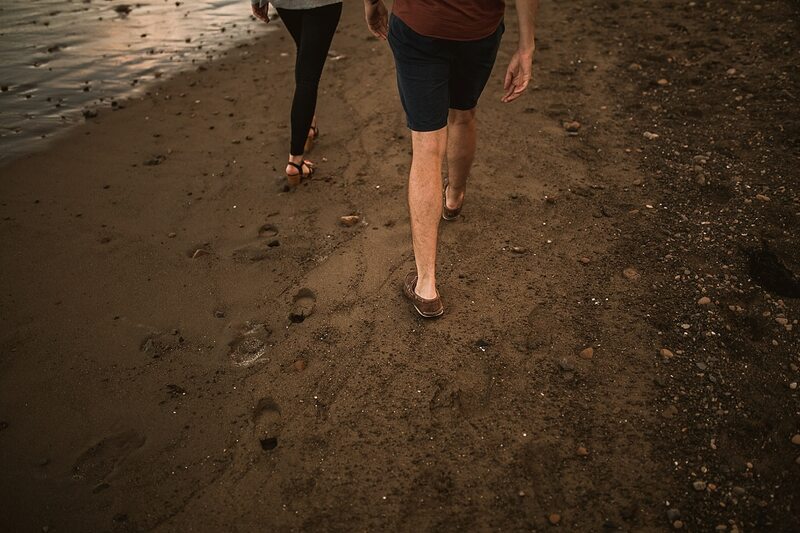 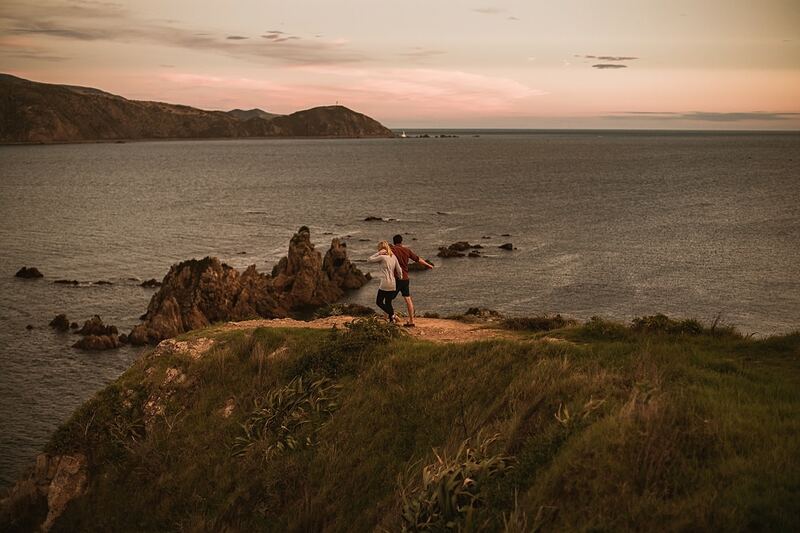 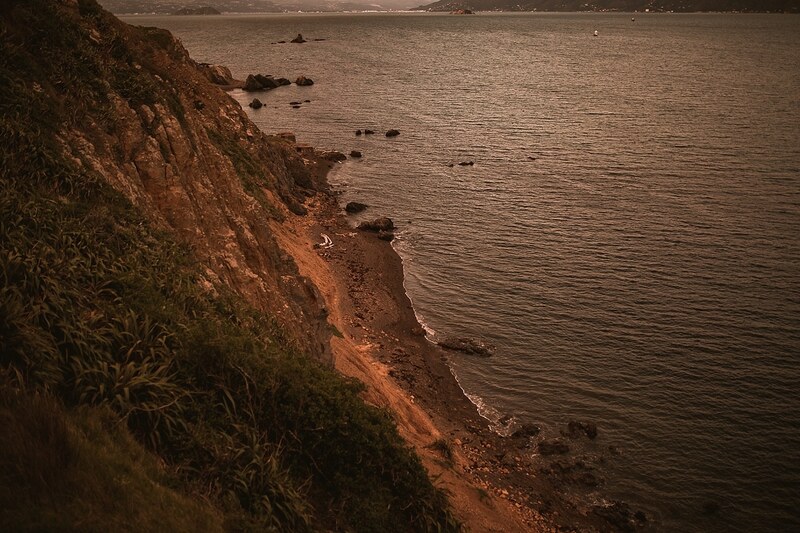 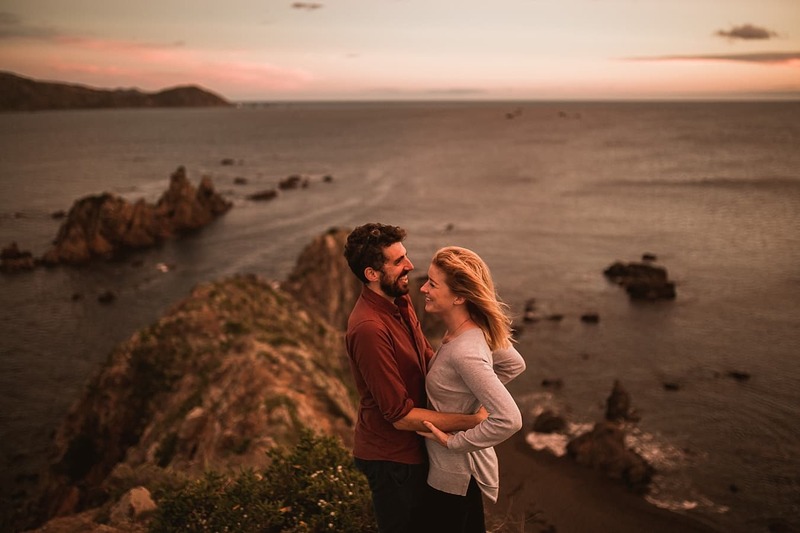 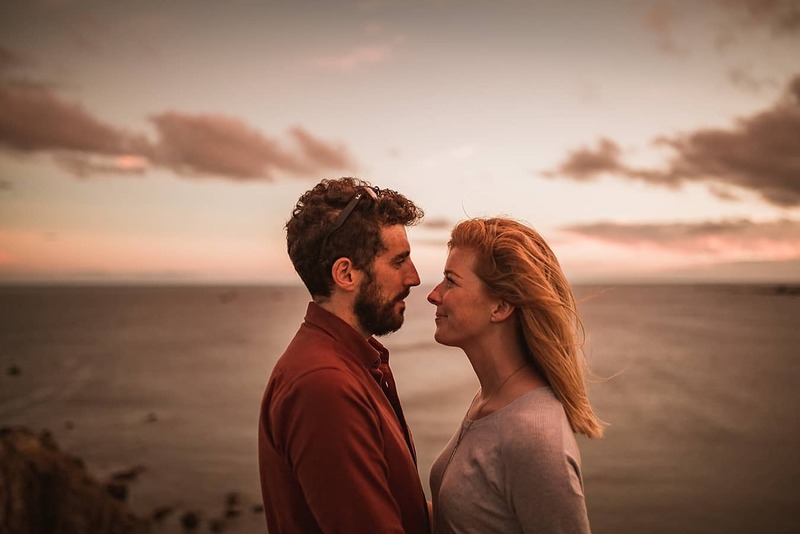 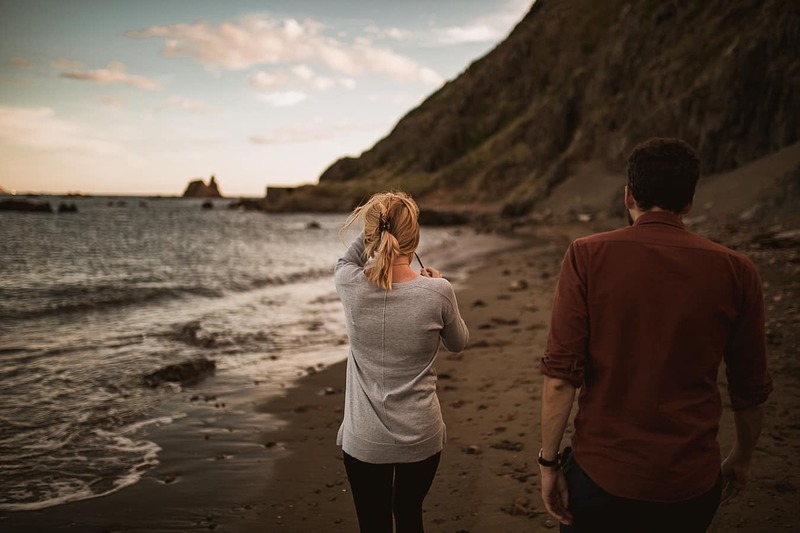 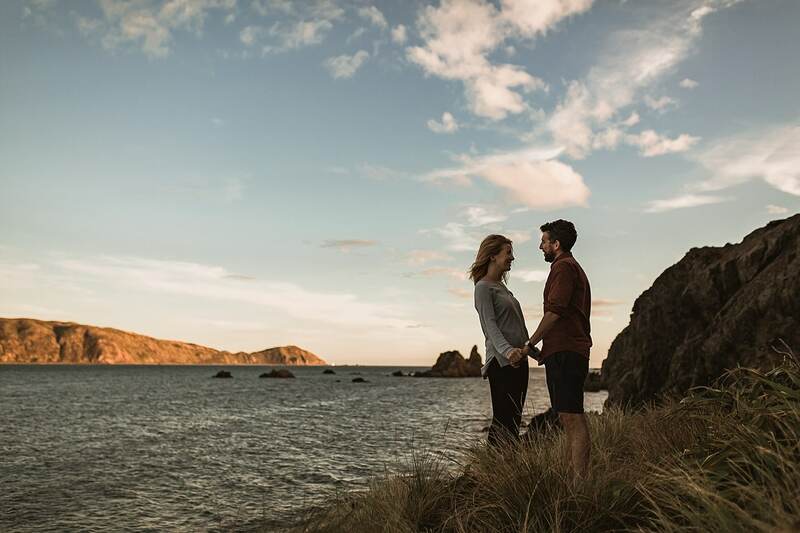 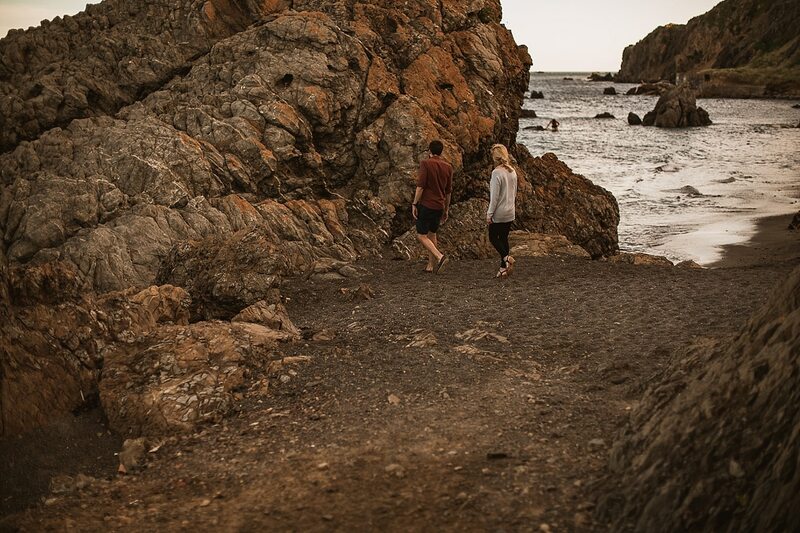 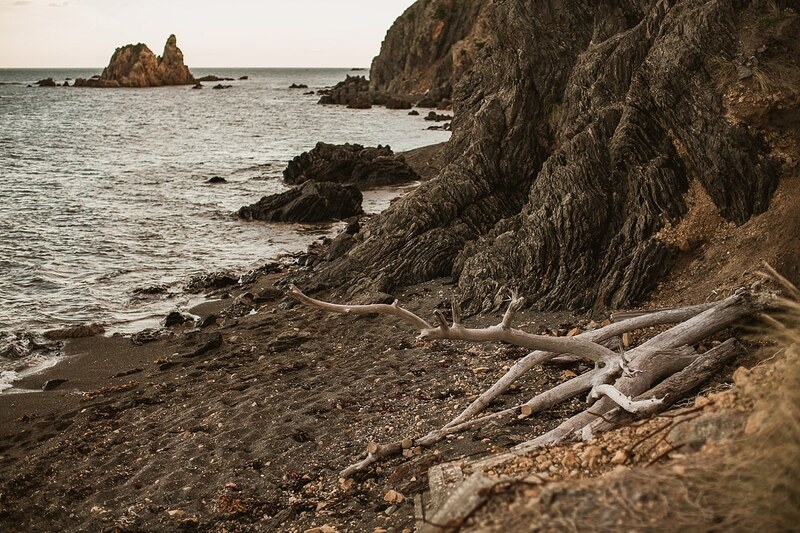 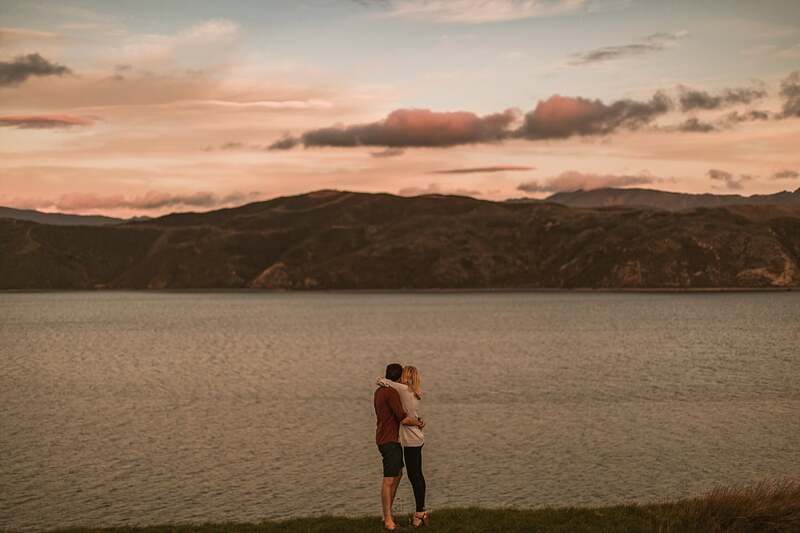 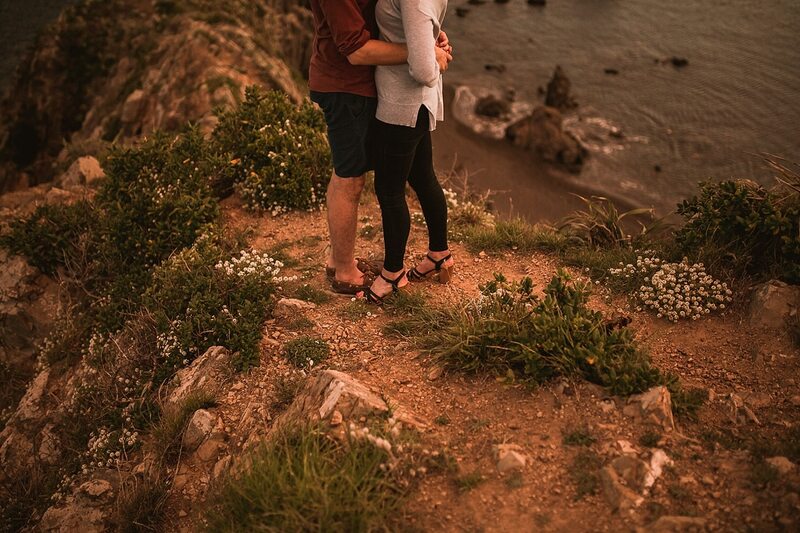 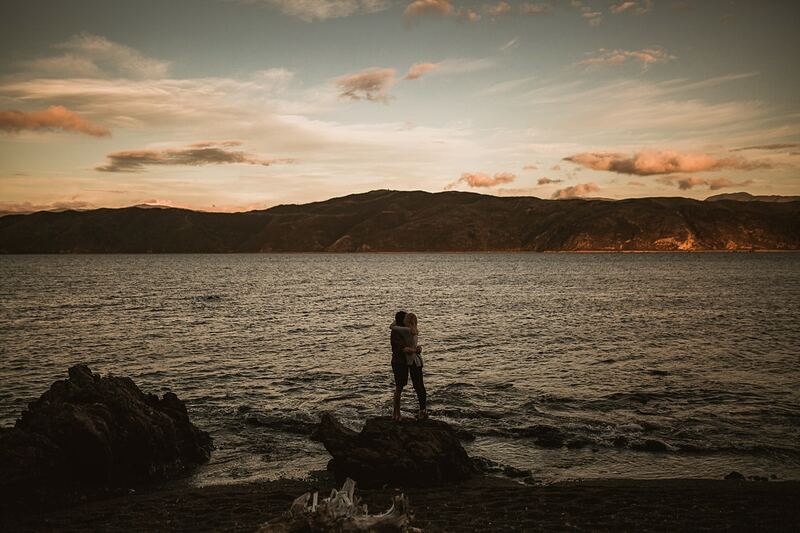 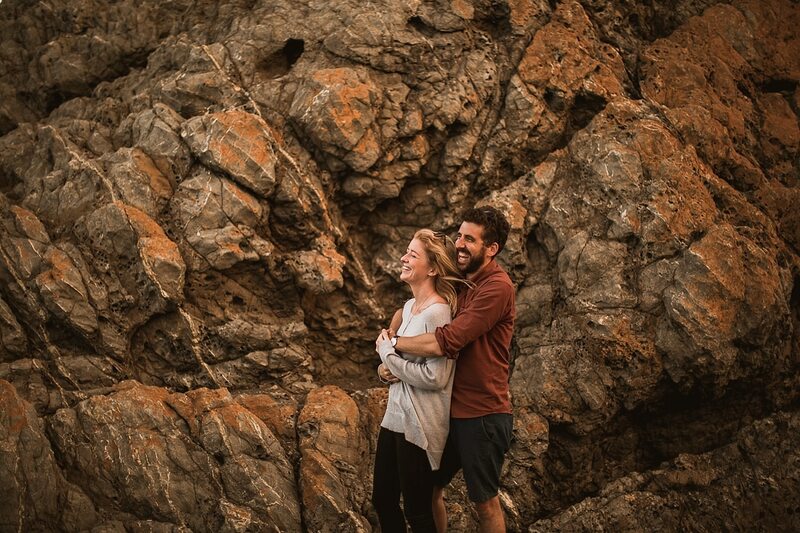 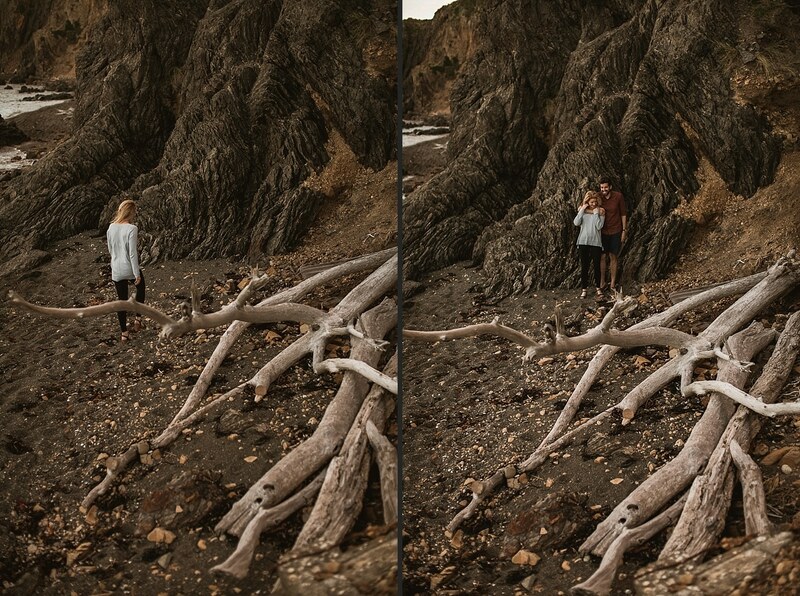 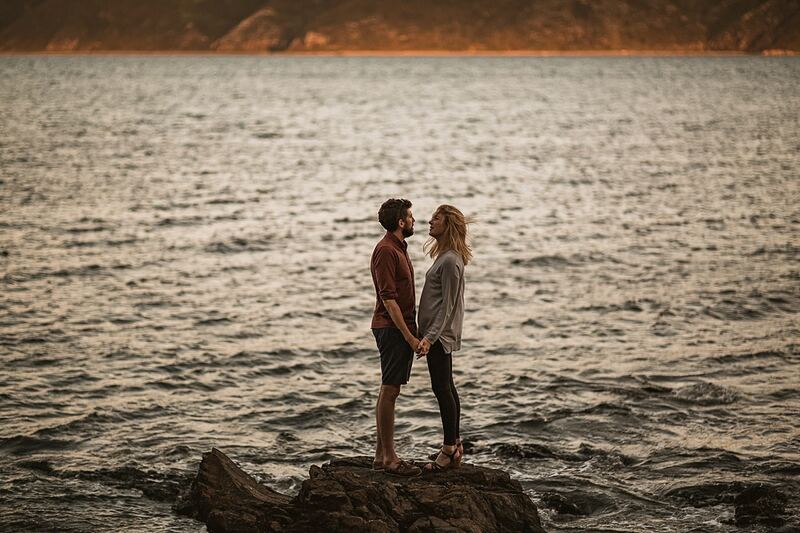 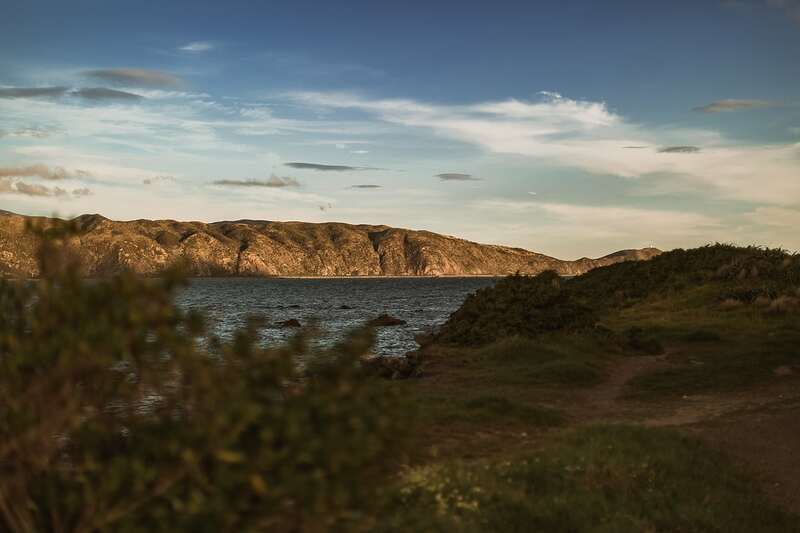 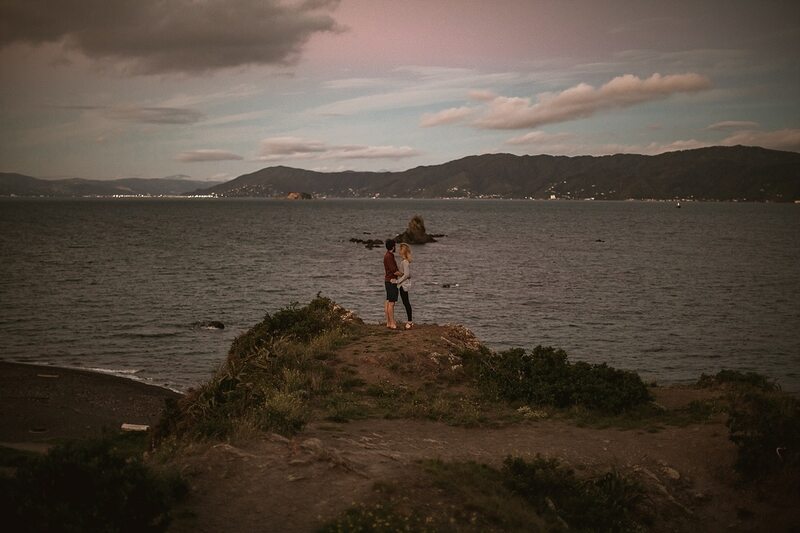 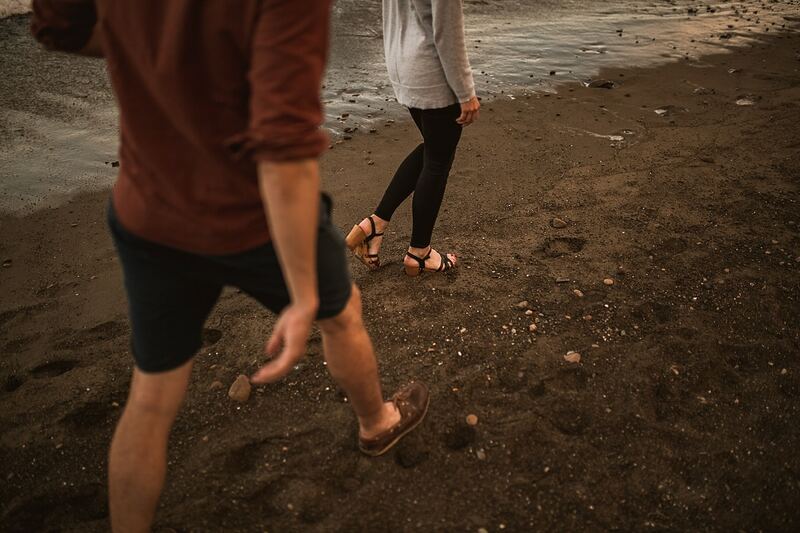 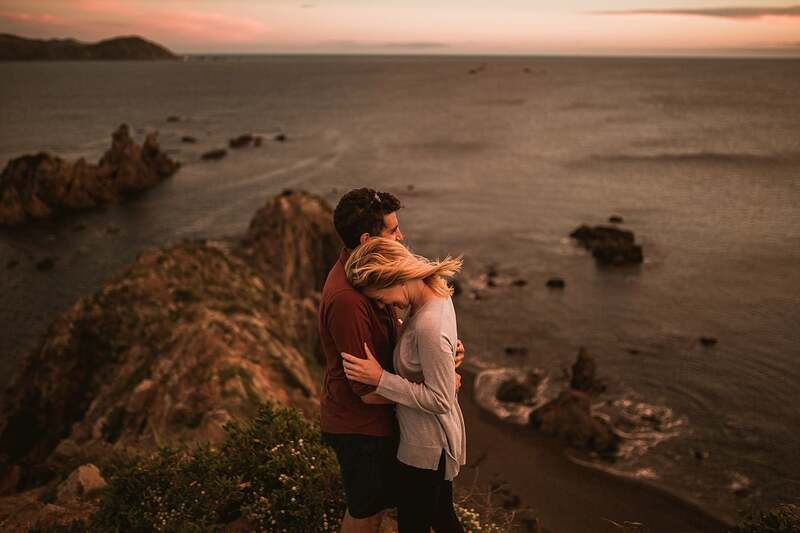 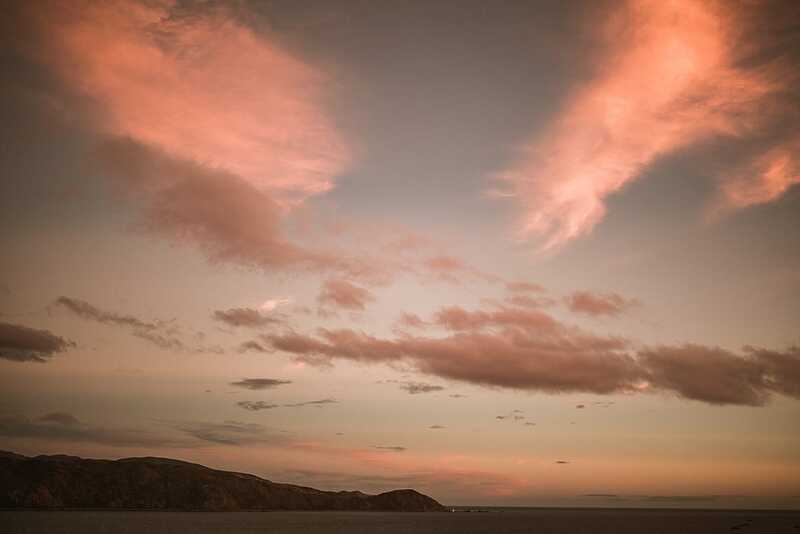 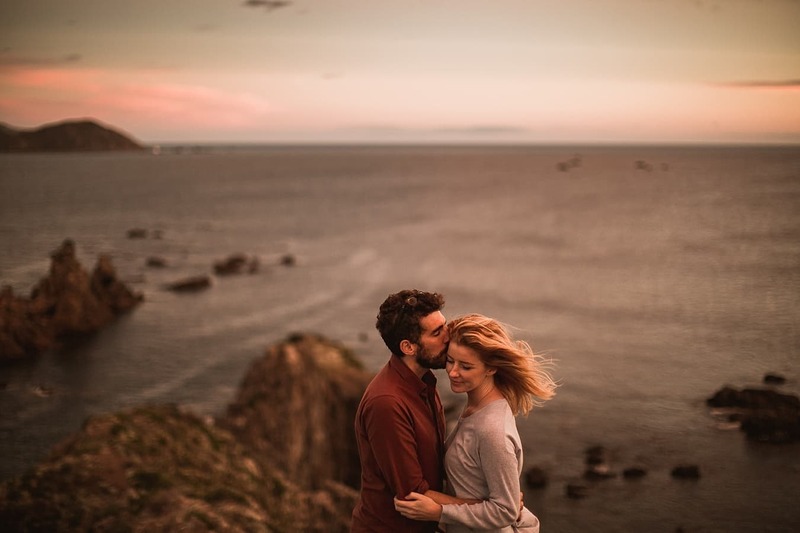 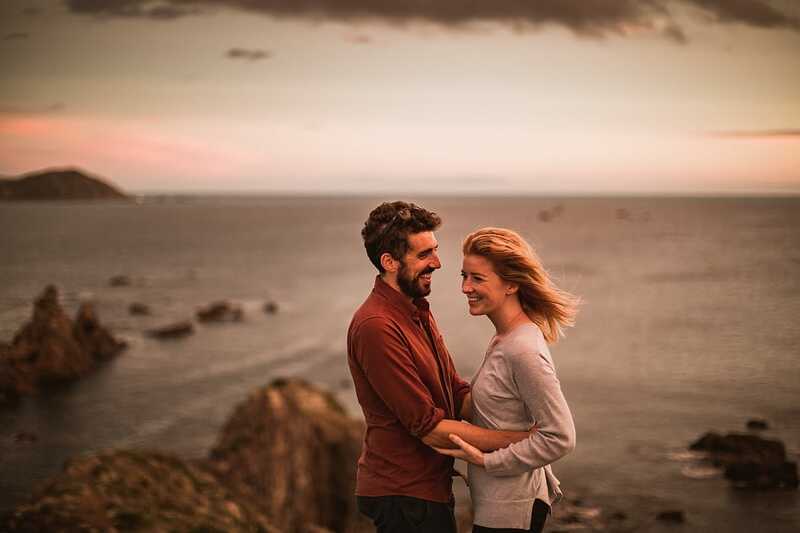 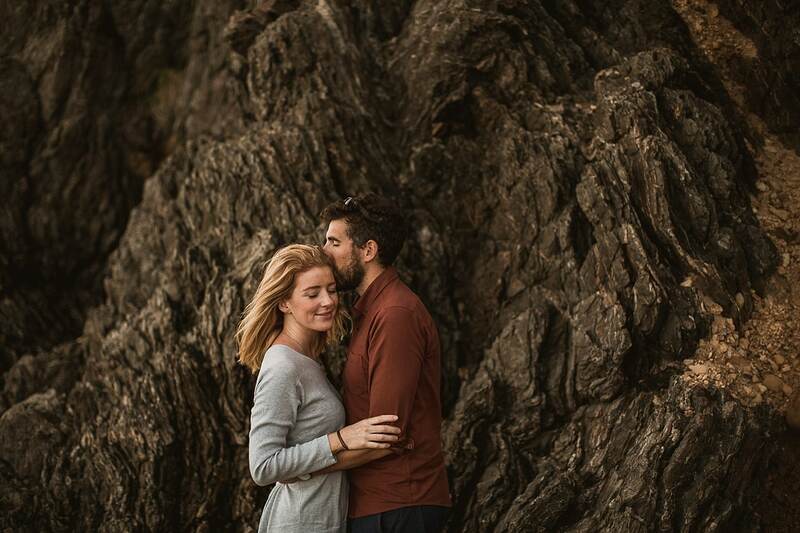 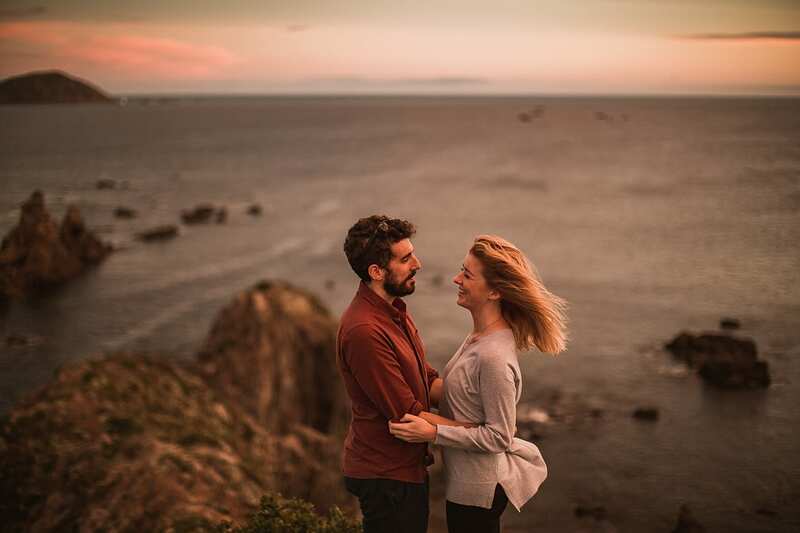 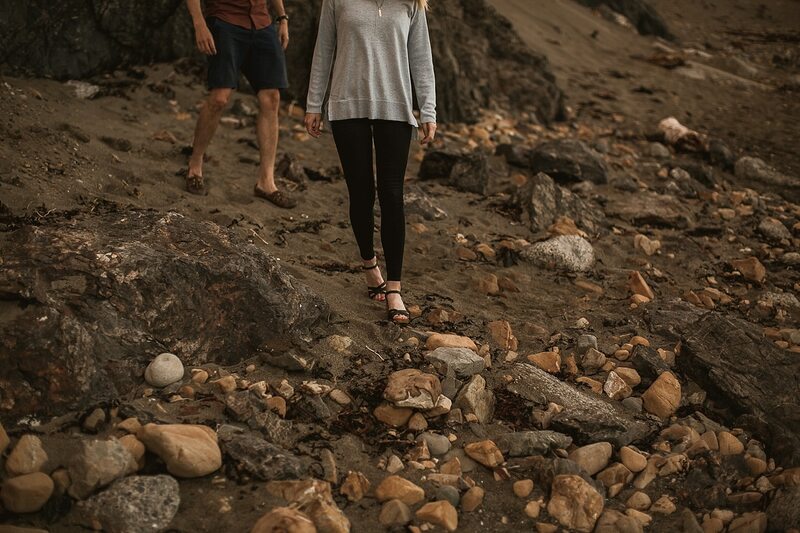 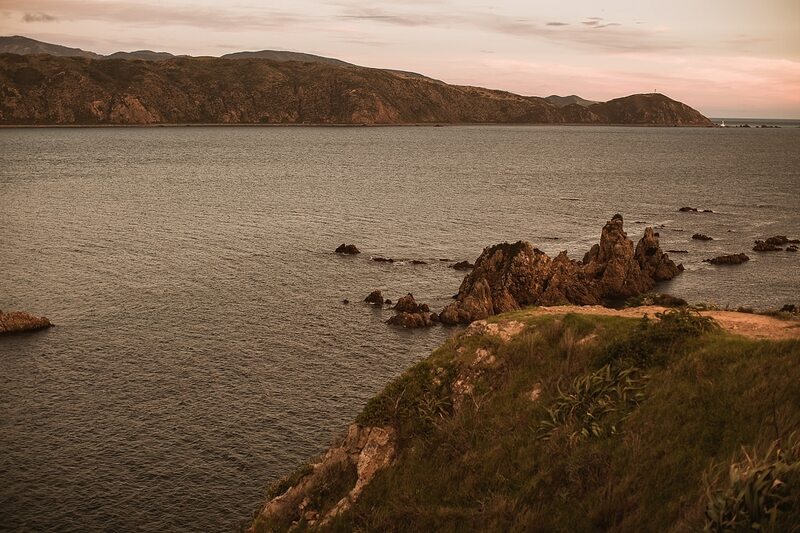 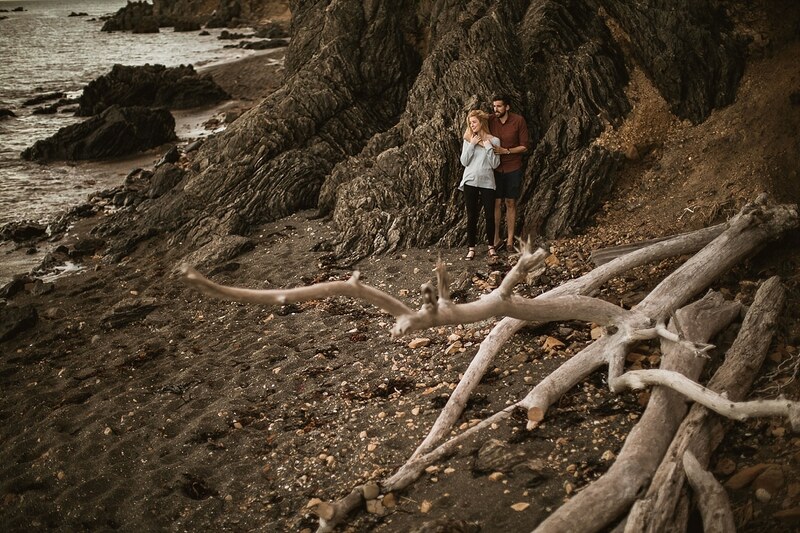 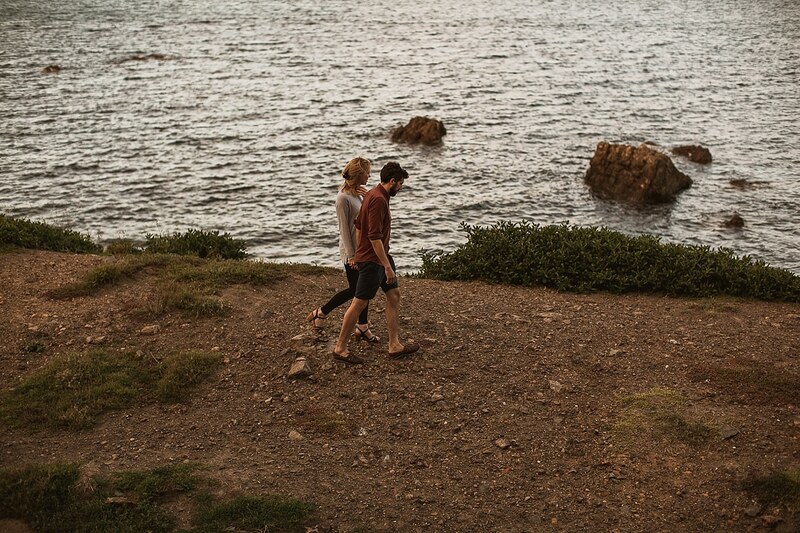 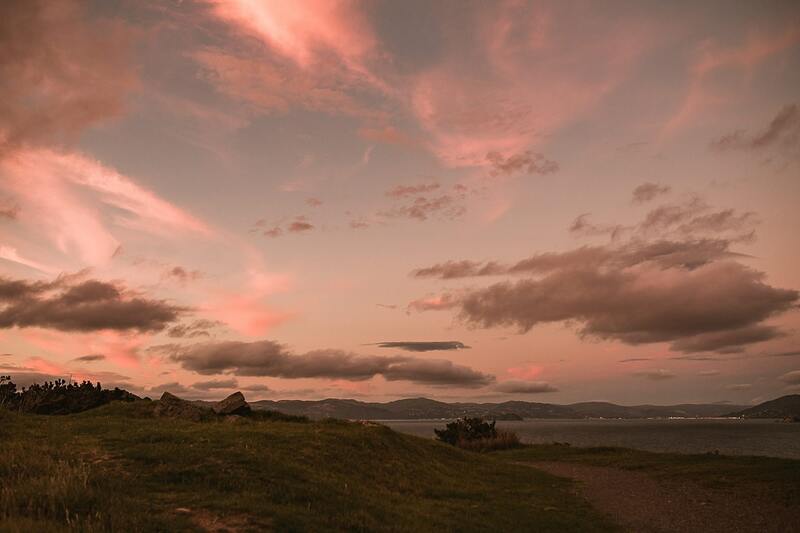 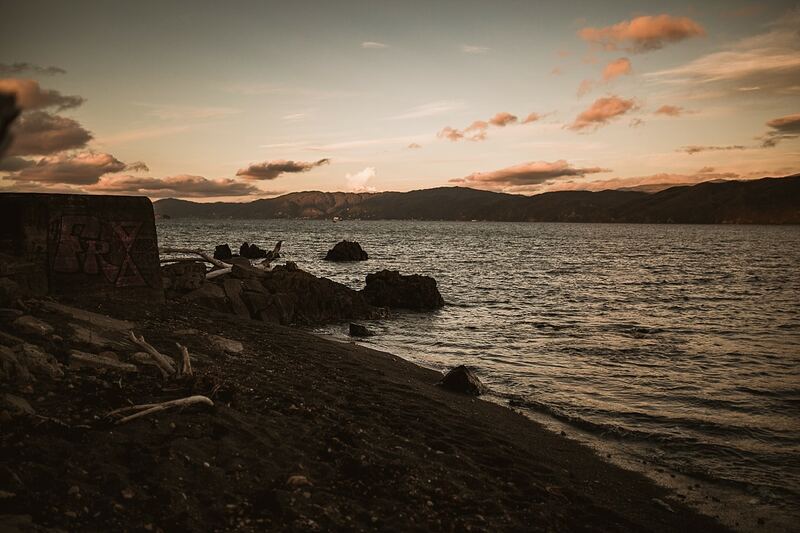 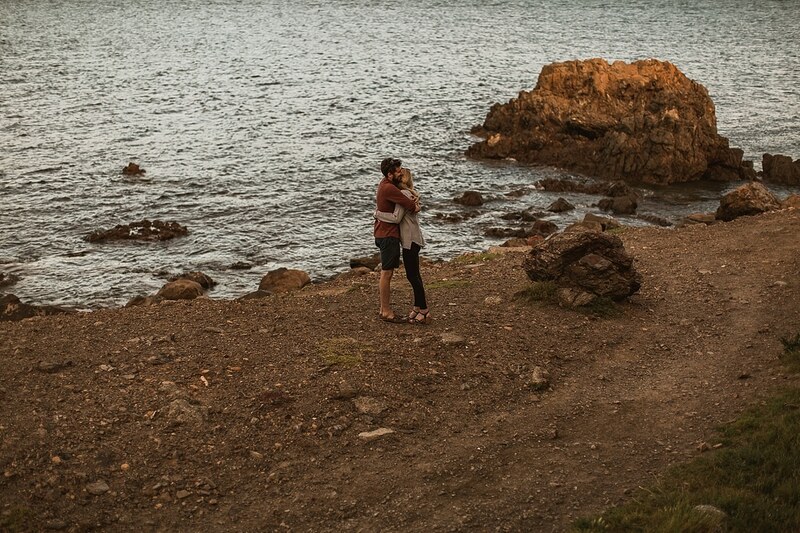 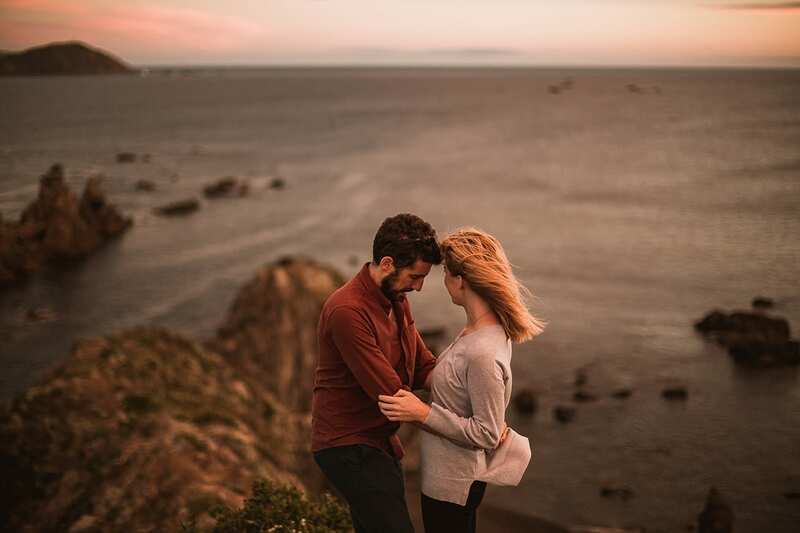 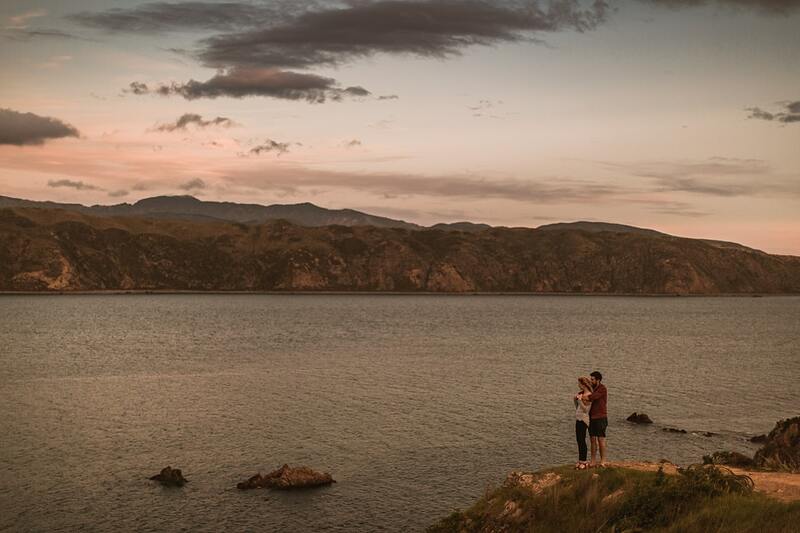 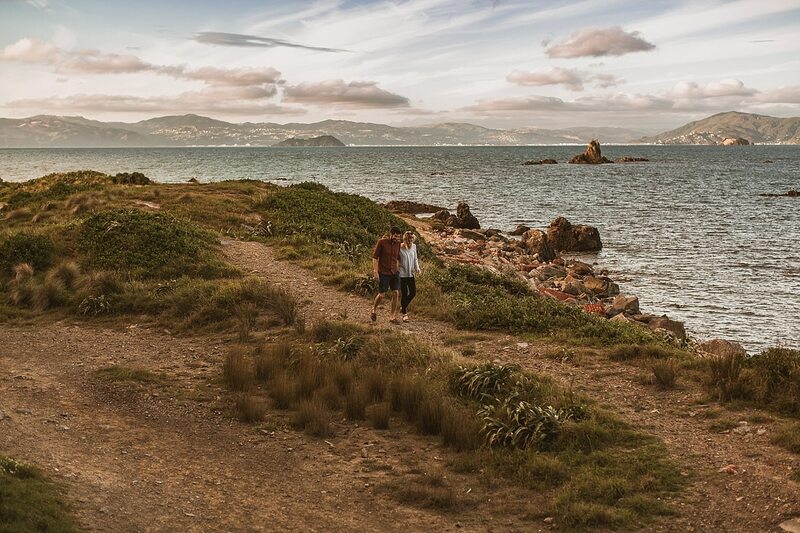 We spent a warm later summer evening strolling along the Wellington beach, chatting about life and capturing some photographs on the way around. 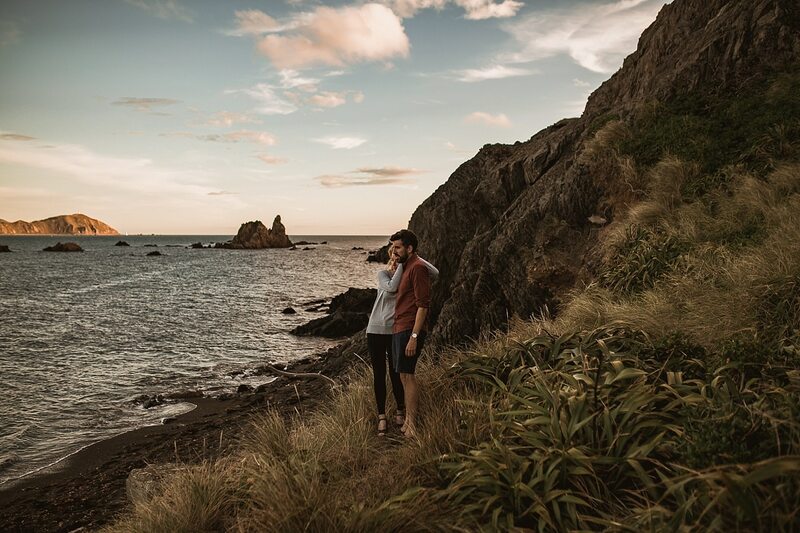 If you’ve never visited New Zealand, we literally cannot recommend it highly enough. 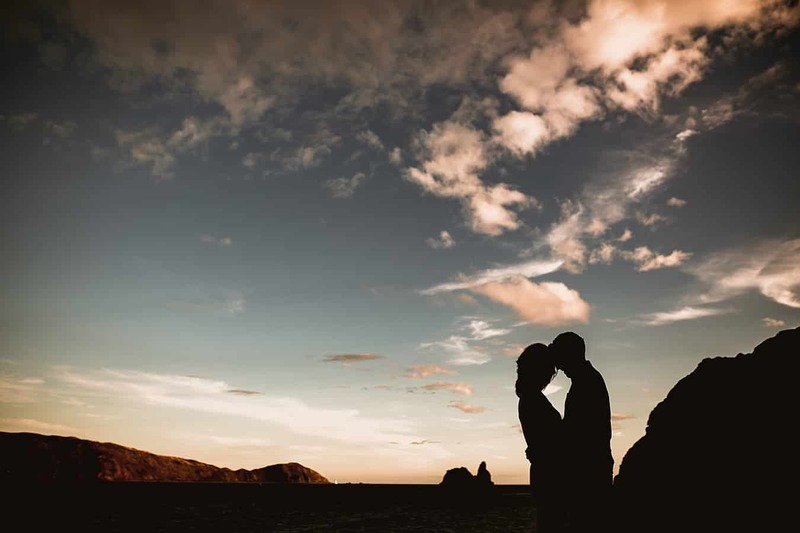 As a photographer, it’s the most ideal place. 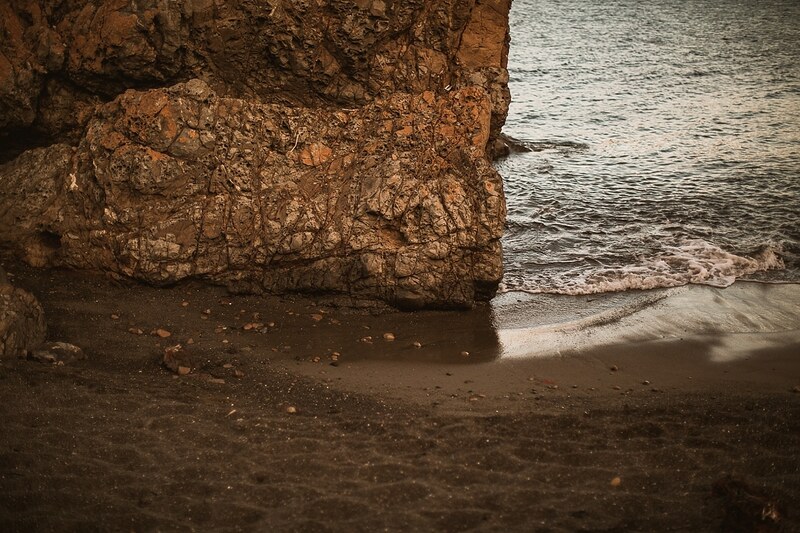 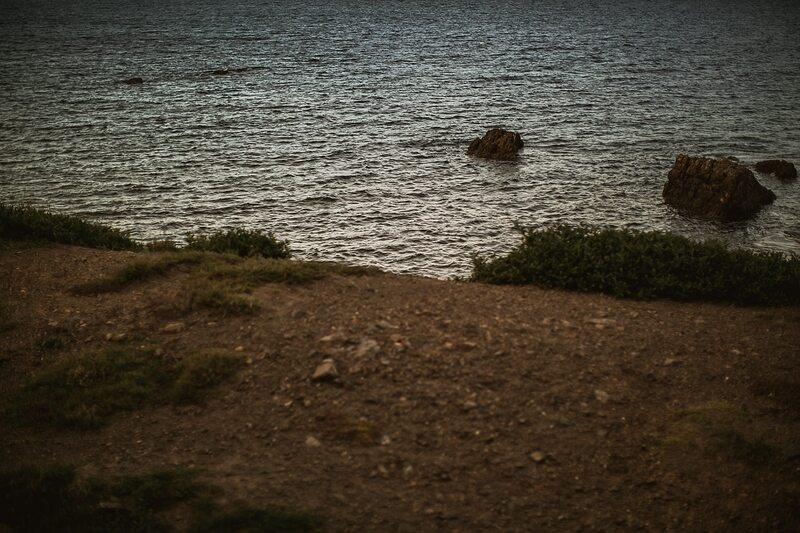 We could walk along the beach with black sand, rocky cliffs and look out onto huge mountains. 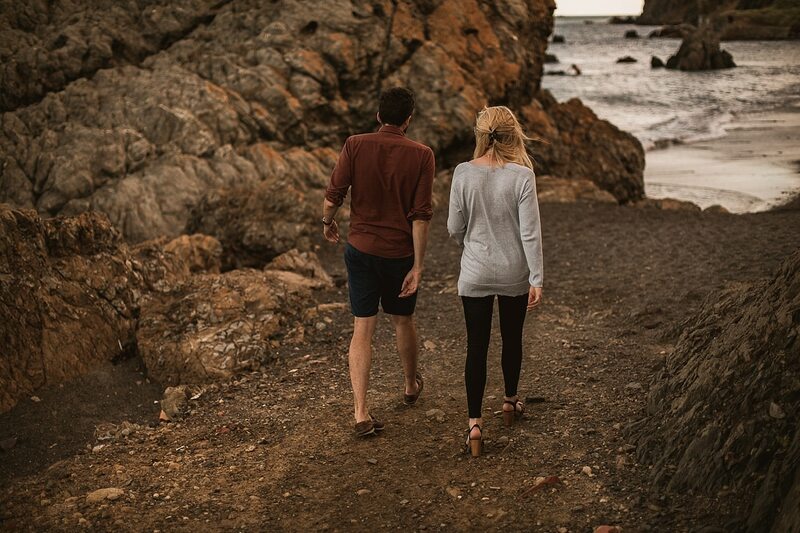 For people who love the outdoors, it’s perfect. 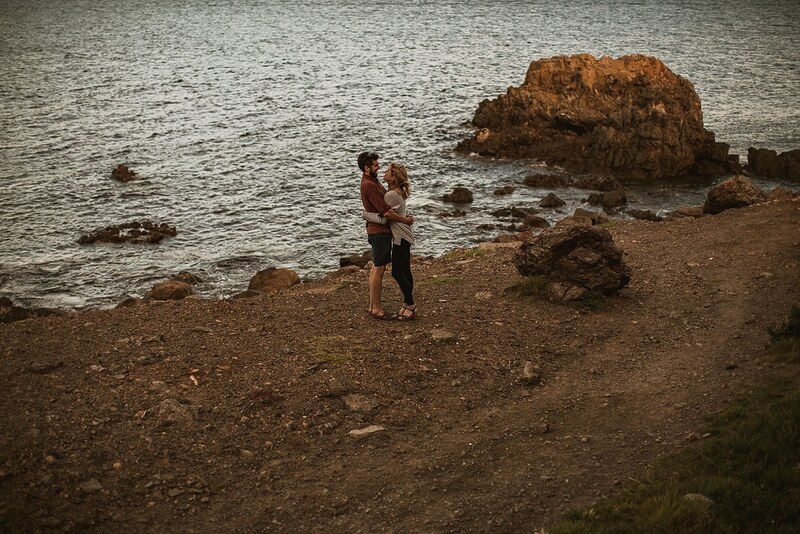 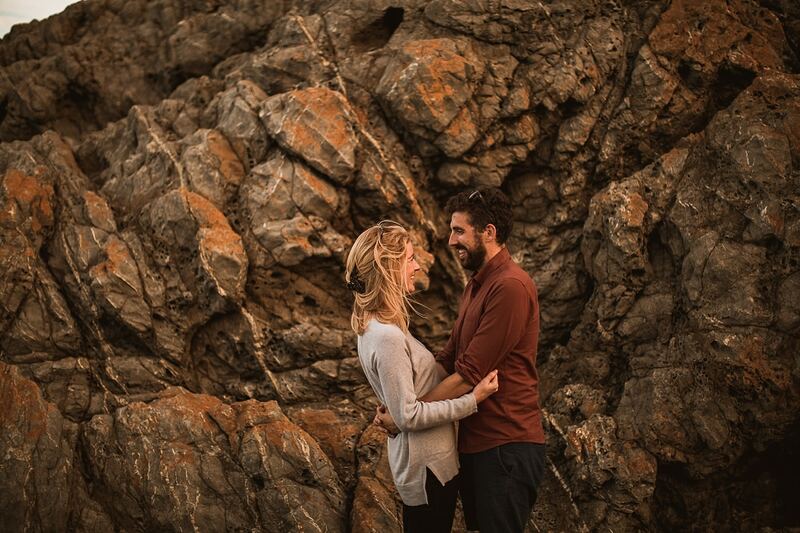 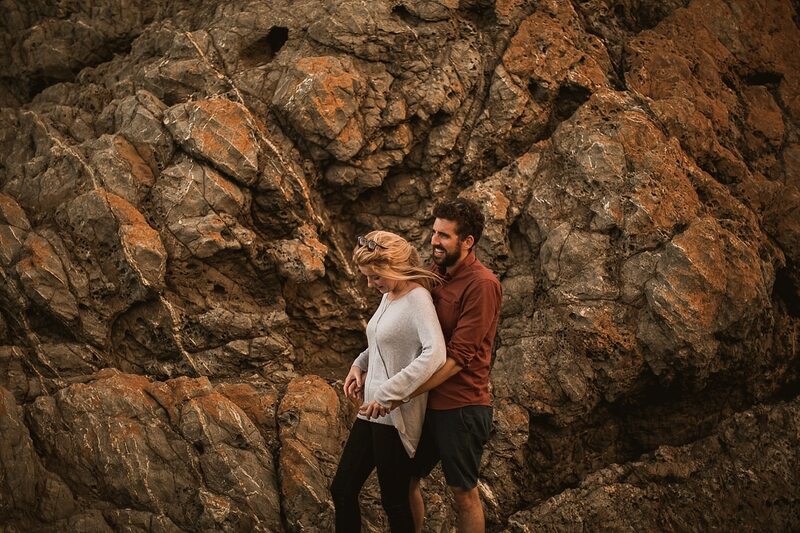 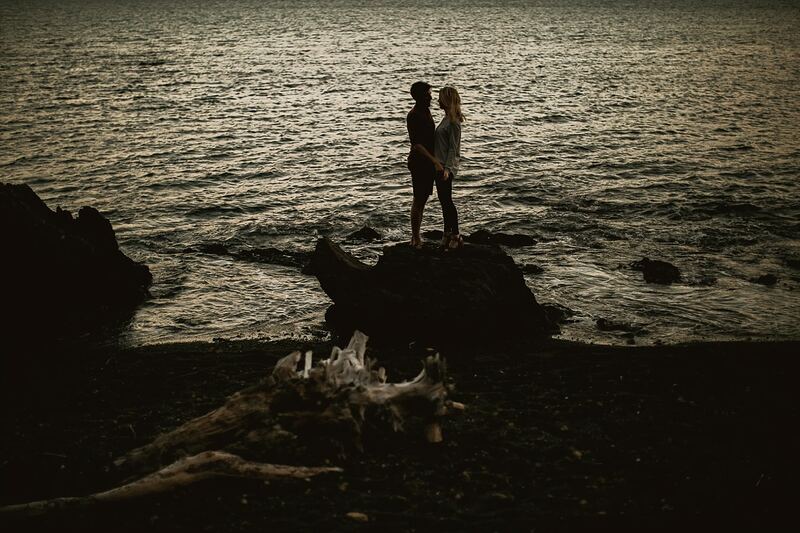 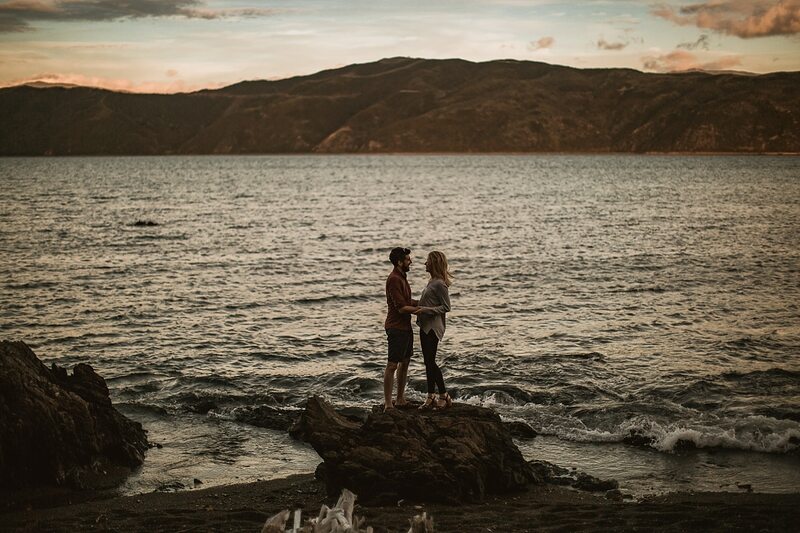 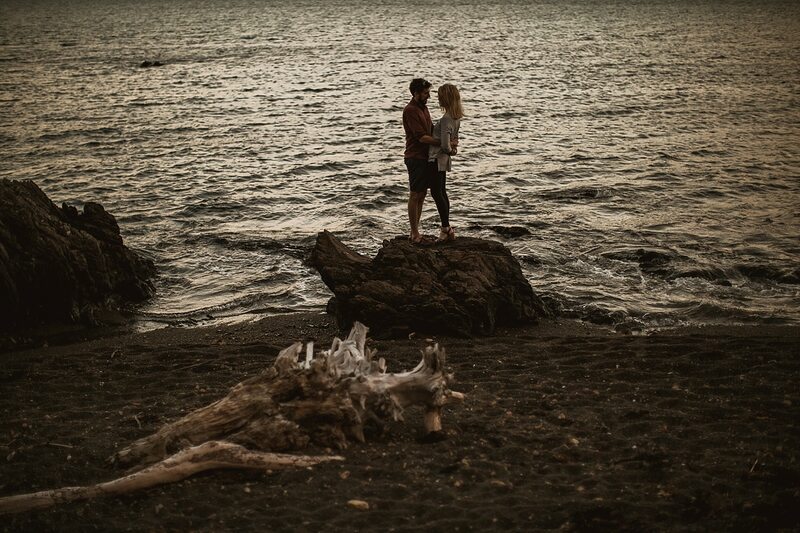 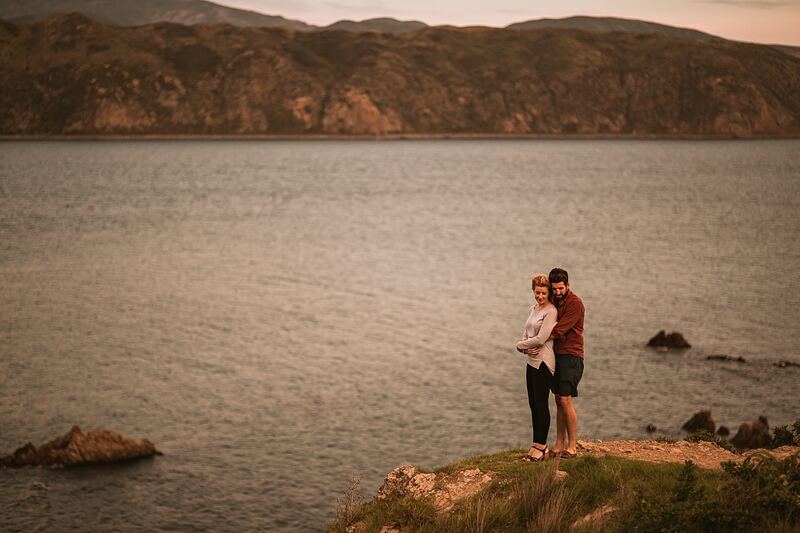 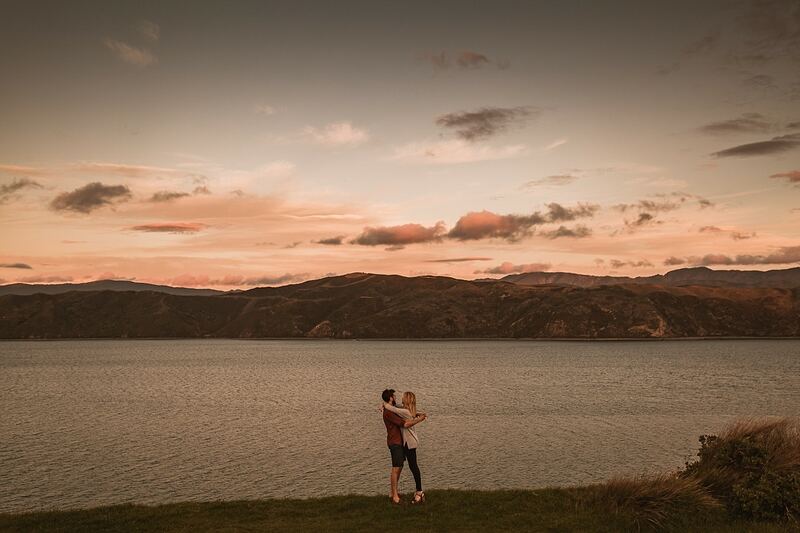 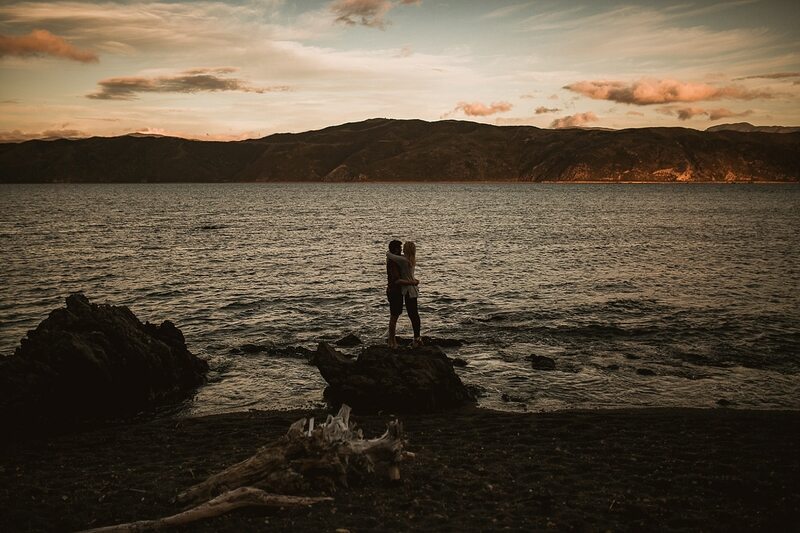 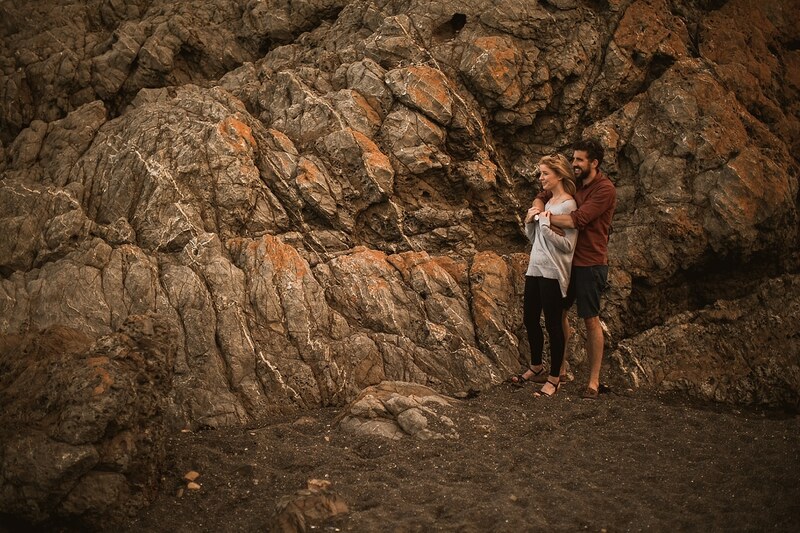 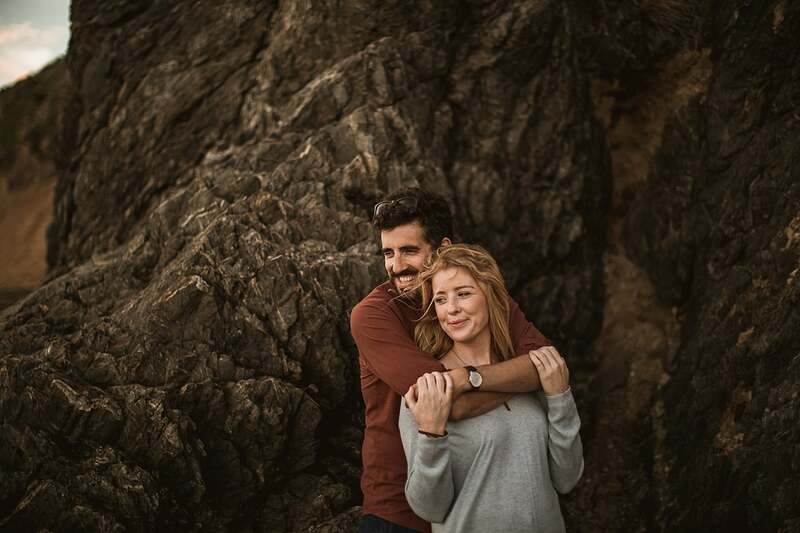 A few weeks after getting home from New Zealand, we found out they’ve made it official and are now engaged!